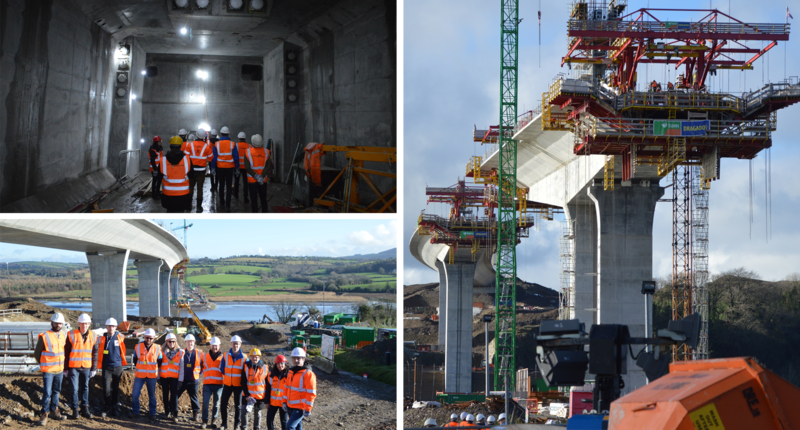 The CCC team had the very good fortune of visiting the works currently underway on the N25 New Ross Bypass last week. The scheme includes a 900m extrados bridge, which, once complete, will have the longest span for this bridge type in the world. The design and construction of the project is being delivered by NRJV, a joint venture company made up of BAM Civil and Dragados Ireland. 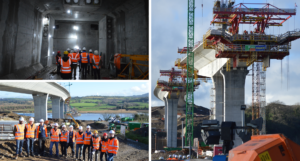 Our thanks to BAM’s Keith Tully and Adrian Cunningham, who talked the CCC team through the complex challenges associated with the scheme and led us on a truly astonishing site visit.